66% off the Dansko Women's Valerie Canvas Mary Janes - Just $25.75 Shipped! 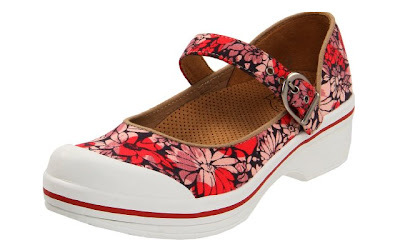 The Dansko Women's Valerie Canvas Mary Janes (in Red Hawaii) is currently selling for just $25.75 on Amazon.com! You will be saving 66% off the listed price of $75.00 with this women's shoe deal. Read the reviews for this well-rated shoe. Other colors available, but prices will vary from color to color.